BackwardFuture, 2017. Installation shot, Black Crown Gallery. Photo credit: Phillip Maisel. 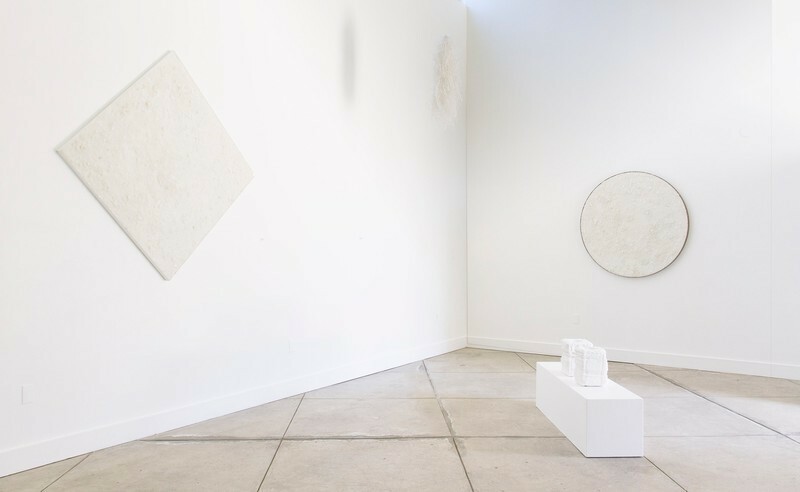 RACHELLE REICHERT's sculptural forms are minimal and her palette is monochromatic—almost exclusively black, white and grey. 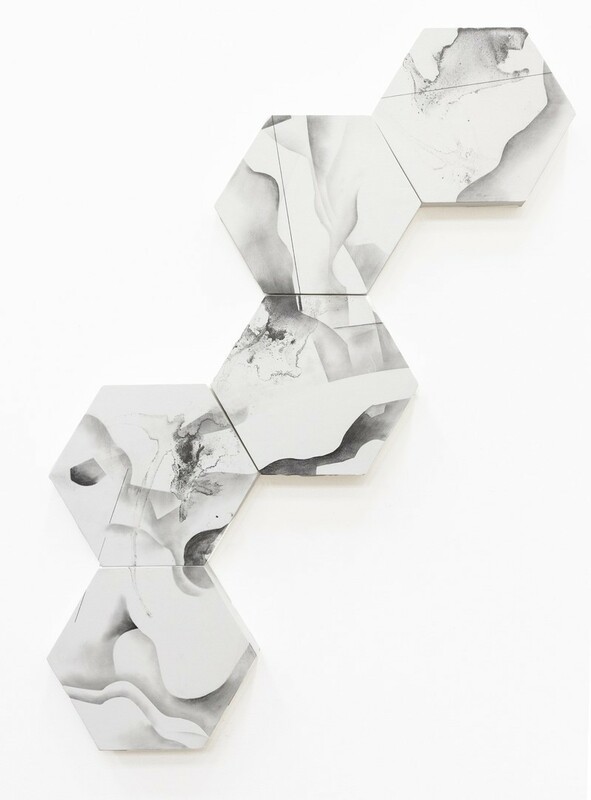 These formal decisions grow directly from her material choices—graphite and salt. Underlying the seemingly-simple, formal elegance is a committed interest in the social and ecological impact of technology. Rachelle earned her BFA at Boston University, following by her MFA at Mills College (Oakland, CA). In addition to numerous solo exhibitions, she has presented her work at the California Climate Change Symposium, the State of the San Francisco Estuary Conference, the American Geophysical Union Meeting. 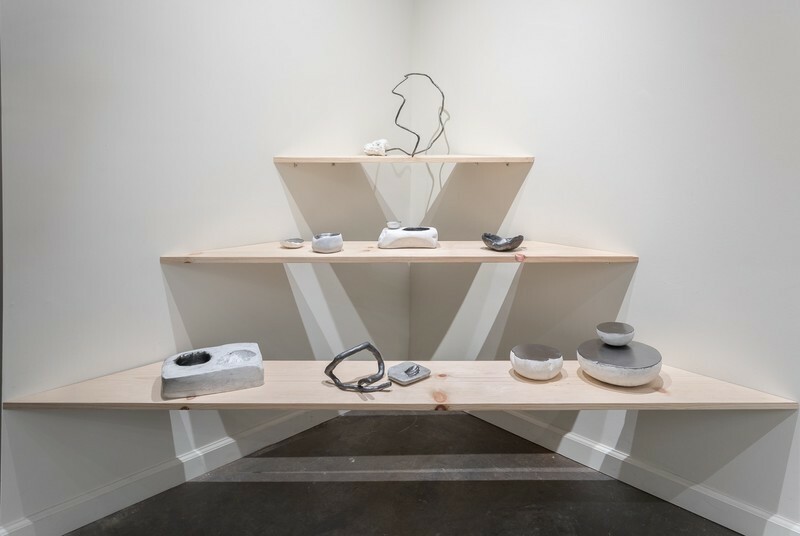 Her work will be on view from September 9 - October 21, 2018 in the group show Unwalking the West at the Center for Contemporary Art & Culture at Pacific Northwest College (Portland, Oregon). Rachelle is curatingTrace Evidence: A Cross-Cultural Dialogue on Climate Change in affiliation with Global Climate Action Summit in September 2018. The show opens at Minnesota Street Project (San Francisco) on September 5, 2018 and will be accompanied by a panel discussion sponsored by SFMOMA on September 11, 2018. Rachelle lives and works in the San Francisco Bay Area, California. OtherPeoplesPixels: Why are salt and graphite the dominant materials in your work? How do they drive your work? 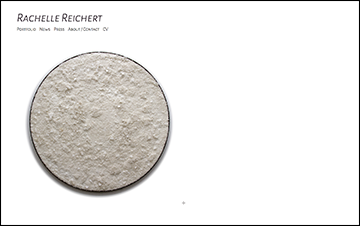 Rachelle Reichert: I am interested in the familiar becoming unknown and in the complexity of seemingly ordinary things. 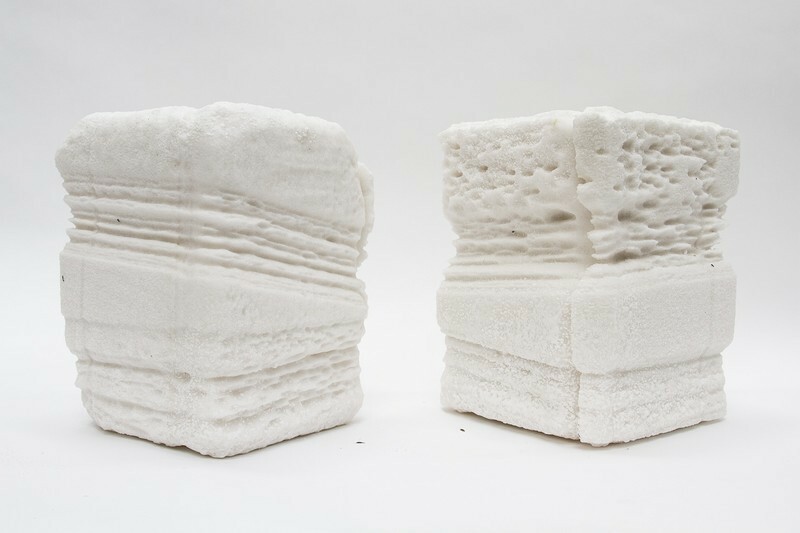 My practice explores the connection between basic natural materials, their use by industry and technology and the resulting impact on the environment and culture. I have created work with metal, clay, natural pigments, charcoal and more. But graphite and salt have held my attention for over five years. 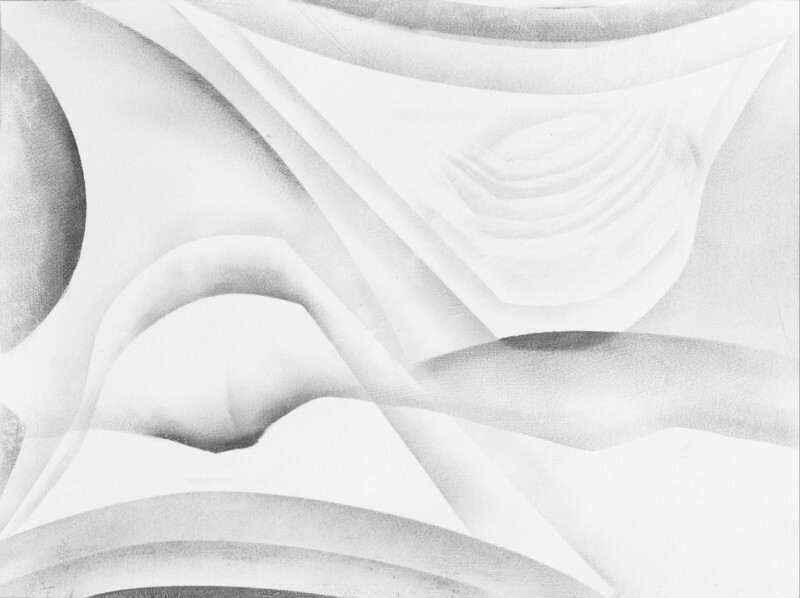 Graphite is a primary tool for drawing— a practice that helped develop human consciousness. Graphite was originally used by sheepherders to mark sheep. Since then, it has a history in industrialization as a lubricant to machinery and now in the lithium-ion battery found in cars and smartphones. Graphene—graphite’s 2-D form—is enabling leaps in nanotechnology and biotech because it is an excellent superconductor. I research the life cycle of the material, from extraction to implementation and create artwork based on this research. First Rains, 2016. Salt. 15 x 12 x 9 in each. RR: I started thinking about salt in 2013 in my first semester of grad school. I had an incredible professor, the late Anna Valentina Murch, who encouraged material experimentation in sculpture when I was making large graphite paintings. She helped to transform my thinking. Salt has been extracted industrially from the San Francisco Bay since the 1850s. It is an incredibly unstable mineral that is essential for human life. Like graphite, I’ve researched salt’s use in industry, such as local extraction and the repercussions shaping the San Francisco estuary. In addition I have studied salt’s role in culture, such as its use in woman-led pagan practices that were later adopted by Catholicism. My salt circles come directly from that. Both graphite and salt are extracted all over the world. Presently, I am looking at graphite extraction in China and I recently returned from the Salar de Uyuni in Bolivia, the largest salt flat in the world with the largest reserves of lithium. OPP: How do you make formal choices to support your conceptual concerns? RR: My forms and palettes are determined by the materials themselves. I am sensitive to the textures and forms of the materials. That is where the complexity lies. These works are demanding and require close looking. Unfortunately, photographs of the works don’t communicate this well. OPP: How do the forms grow out of the material? It’s clear in the saltworks, but what about the hexagons, for example? RR: The hexagons reference the crystalline structure of graphite, an allotrope of carbon. It’s the hexagonal form that allows for the superconductivity of the material. A beautiful example of form follows function. Untitled (Hexagons 3), 2018. Graphite on panel. 50 x 24 inches (variable). OPP: Is the sourcing of your materials important? RR: Yes, very important. It creates the content for some works. I often harvest my own materials or when I can’t do it myself, I work with companies who do and build relationships with these companies. I often watch sights for a very long time, years usually, before I start making work. Watching includes tracking locations via satelite images and reading news, geological reports, surveys or any information I can find and visiting the locations—if I can. Currently, I am working on a project where I’ve been visiting locations in California impacted by forest fires and making oil paint from the charred trees. I started this in 2014 but it is just now that I am making paintings. The fires have accelerated rapidly in the time I’ve been researching. I coincidentally started making this work during the largest recorded fire in California history, the Thomas Fire in December 2017. Since then, the Mendocino Complex Fire, burning as I write this, now holds the record as the largest fire. I am creating this work as it rains ash from the sky in San Francisco and grieving, like so many others, for a California past and for those who have suffered from these fires. OPP: What role does satellite imagery play in your drawing practice? RR: I use private-sourced earth imaging satellites to track locations affected by global warming. I have access to these images from a research ambassadorship. I track graphite mines with these images and salt evaporation ponds, wildfires and new sites of extraction in the American West. These images come from technology that could not exist without the raw materials that are being photographed and so I want to highlight that connection with my drawings. OPP: Are the Black Dragon drawings examples of this? Do viewers/critics ever miss the connection and want to talk abut these as pure abstraction? RR: Yes. The name comes from the mining group that I have been following in China. These works can function as pure abstraction or as an investigation of the images I am exploring and creating the works from. The connection is often missed, but I think that adds an interesting layer, potentially revealing the reference images in unexpected ways. Most people don’t realize that satellite images are highly edited—color corrected, cropped, composited—to look like what one would expect from a satellite image: a clear view of the land below with no clouds or blurs or camera malfunctions (remember, these images are coming from space!). 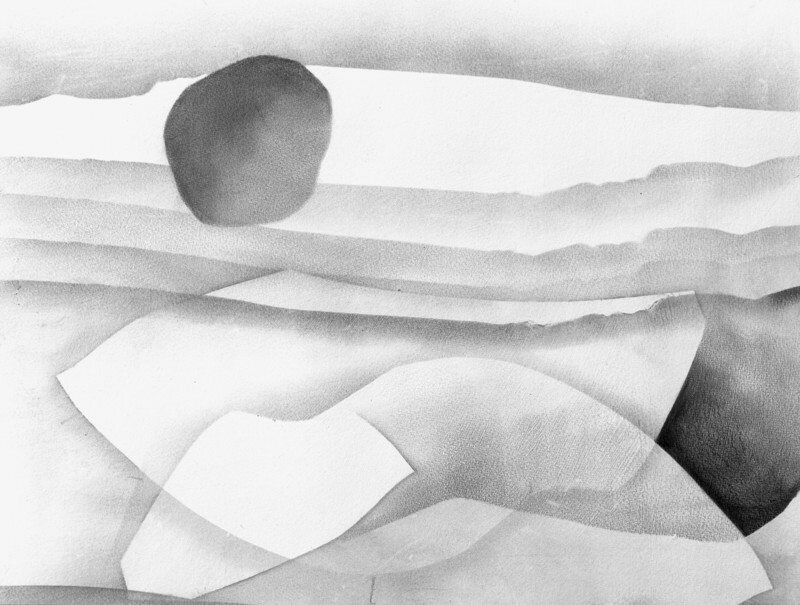 The drawings are layered and space is negotiated in strange ways intentionally to reveal this. Blackdragon Mine #16, 2017. Graphite on prepared paper. 12 x 16 inches. OPP: You’ve presented your artwork at the California Climate Change Symposium, the San Francisco State of the Estuary Conference, and the American Geophysical Union Meeting. Can you talk about presenting art in a scientific context? RR: My research requires a lot of understanding into the chemical composition of my materials and how their uses impact the planet. I track pollution from extraction and man-made marks on our planet. I feel that art is an essential tool to help understand science, especially climate science. There is an urgency there and I am always seeking opportunities to intersect ideas and collaborate. To see more of Rachelle's work, please visit rachellereichert.com.